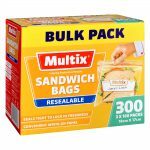 300 resealable sandwich bags that seal tight to lock in freshness. They have a convenient write on panel. Size: 18cmx 17cm. 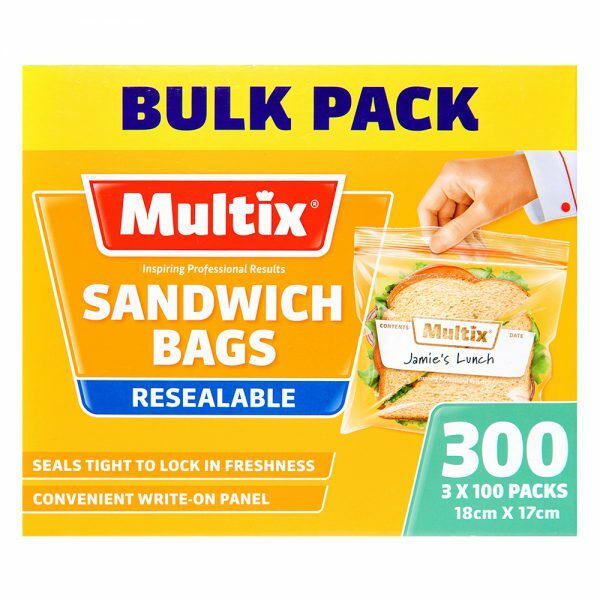 Multix Resealable Sandwich Bags are ideal for school lunches, snacks on the go and great for knick-knacks. 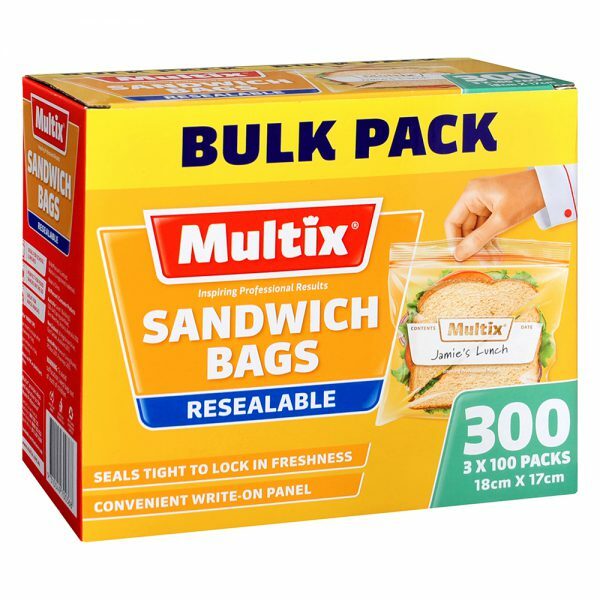 Contains 3 x 100 packs. Contains no PVC or plasticisers. BPA free. Allow steam to escape when microwaving in bag. 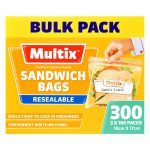 Please remove air in bag when freezing.